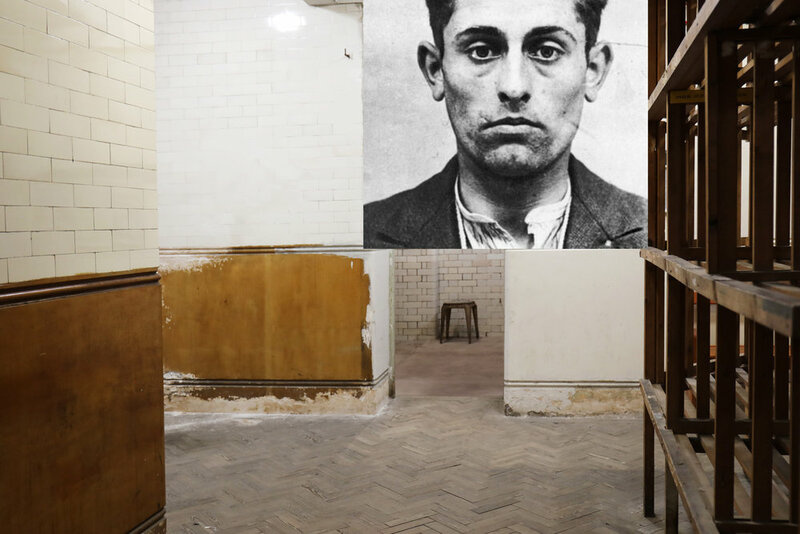 Cold Cases exhibition reinterpreting three Brighton crimes found within the Old Police Cells Museum collection; the Trunk Murders, the Chocolate Creme Killer and the Grand Hotel Bombing. The representation of women is a contested sight across film, advertising imagery, and fashion campaigns, where women’s stories are too often portrayed as singular and passive, their bodies brutalized inside the frame. There is a constant loop of recall and response often powered by images of horror and crime. This violent depiction of women is so embedded in our consciousness it has become difficult to reveal an alternate view. The exhibition is the visual outcome of an intensive one month brief, which worked with twenty emerging international photographers, from Europe, South America, and Australia. The work was produced with insight from special guest Juno Calypso, whose renown work tackles the complexities of female perception.